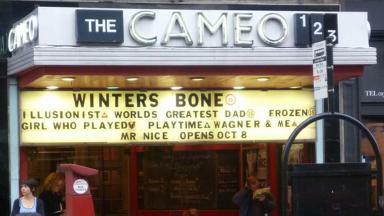 The Belmont Picturehouse will be sold following the Competition Commission's inquiry. Cinema operator Cineworld has been forced to sell one of its properties in Aberdeen over competition fears. 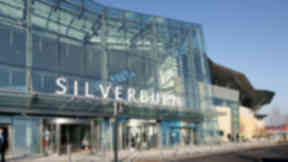 The group, which bought competitor City Screen last year, operates two cinemas in the city – the Belmont Picturehouse and the Cineworld at Queens Links. On Tuesday, the Competition Commission announced the result of its inquiry into the operators running of 78 cinemas across the UK. It concluded that, as Cineworld owns the Picturehouse brand through its purchase of City Screen, it faces limited competition in Aberdeen, Bury St Edmunds and Cambridge, which could lead to higher prices for cinema-goers. The commission stated that it must now sell one of its cinemas in each of these three areas to an operator approved by the commission. Alasdair Smith, the commission’s deputy chairman, said: “Before we reached our final decision, we listened carefully to the many local filmgoers who wrote to us or signed a petition, expressing concern about a potential sale of Picturehouse cinemas, particularly in Bury St Edmunds and Cambridge. However, we are not doing anything that we think will jeopardize the future of any of the cinemas in question. "We still believe that Cineworld and Picturehouse are in direct competition with each other. There is a considerable overlap between audiences and screenings at the two cinema groups. For example, both in Bury St Edmunds and Cambridge, about one-third of Picturehouse customers have been to Cineworld in the last 12 months and Picturehouse gets over half its revenue from films also shown at Cineworld. "The sale of one of the cinemas in Aberdeen, Bury St Edmunds and Cambridge to a competing cinema operator will restore competition in these areas and protect customers’ interests. 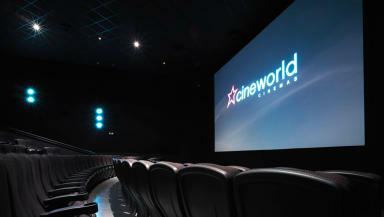 Cineworld will have the choice of selling any one of the cinemas it owns in the three areas. If it chooses to sell any of the Picturehouse cinemas, we are confident that a new owner will wish to build on their existing strengths." In response to the findings, Cineworld Group plc said it "reluctantly intends to dispose of the local Picturehouse cinema in both Aberdeen and Bury St Edmunds". Stephen Wiener, chief executive officer of Cineworld, said: "We are very disappointed by the Competition Commission's final decision to sell three of our cinemas. "We will be selling these cinemas as going concerns and will be supporting our affected cinema teams through the sale. In the meantime, Cineworld Group continues to invest in and grow both Picturehouse and Cineworld estates."